Episode 3×03 “Zari” — When Sara (Caity Lotz) receives a distress call from their “befriended” agent at the Time Bureau, she learns that they have been tasked with going to the future to capture a rogue time traveler. 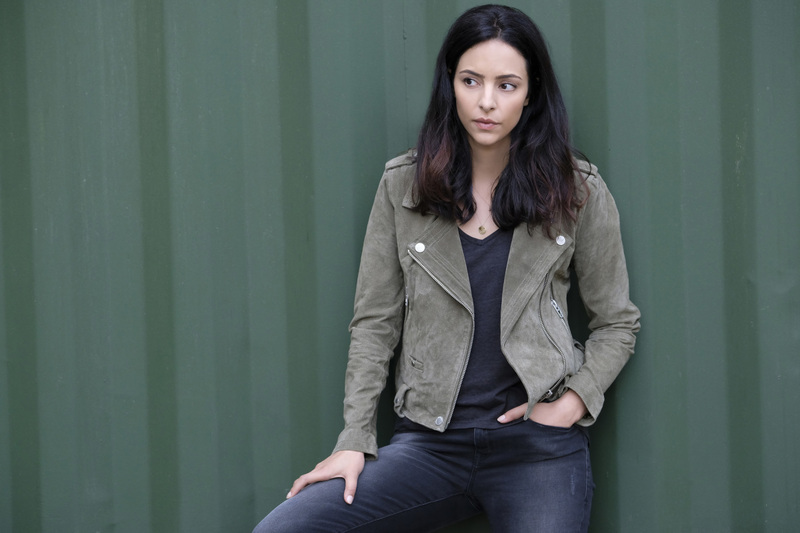 Unfortunately, the Legends make things worse by trying to protect an outlaw named Zari (Tala Ashe), to hopefully lure in the time travelling assassin. Meanwhile, Stein (Victor Garber) tries to diagnose Amaya’s (Maisie Richardson-Sellers) condition, but Nate (Nick Zano) discovers an unusual treatment that Amaya begrudgingly agrees to. Brandon Routh, Dominic Purcell and Franz Drameh also star. Mairzee Almas directed the episode written by James Eagan & Ray Utarnachitt. Air Date: Tuesday, October 24 (9:00-10:00 p.m. ET) on the CW.